‘I Shot Norman Foster’ was an exhibition of new photography curated by Elias Redstone for The Architecture Foundation. 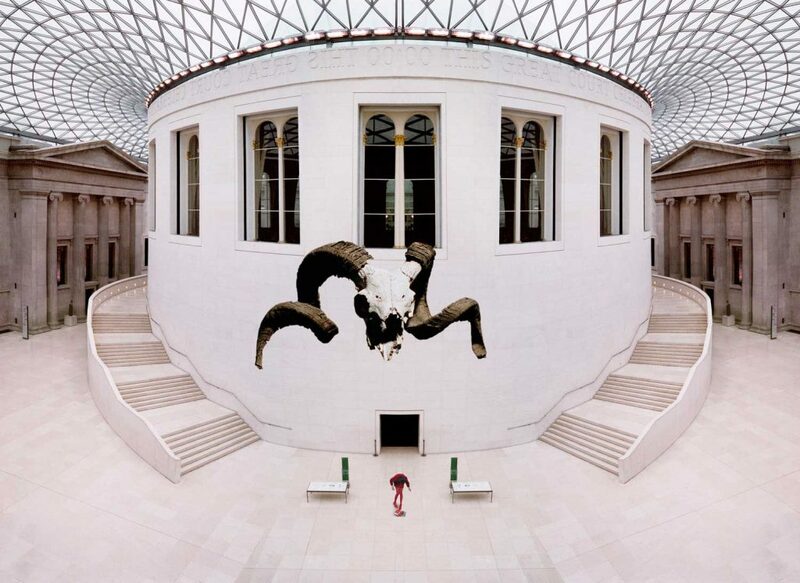 Each photographer was asked to interpret a building designed by Norman Foster – Norbert Schoerner chose the British Museum. Norbert created a mirrored image of the Great Court with its modern glass roof and added various narrative elements to the picture. The overall effect is a visual discourse which refers to the uniquely significant historical collection held within the building and the importance of it for generations past and future. Other photographic contributions came from, amongst others, Chris Steele-Perkins, Jemima Stehli and Richard Wentworth.